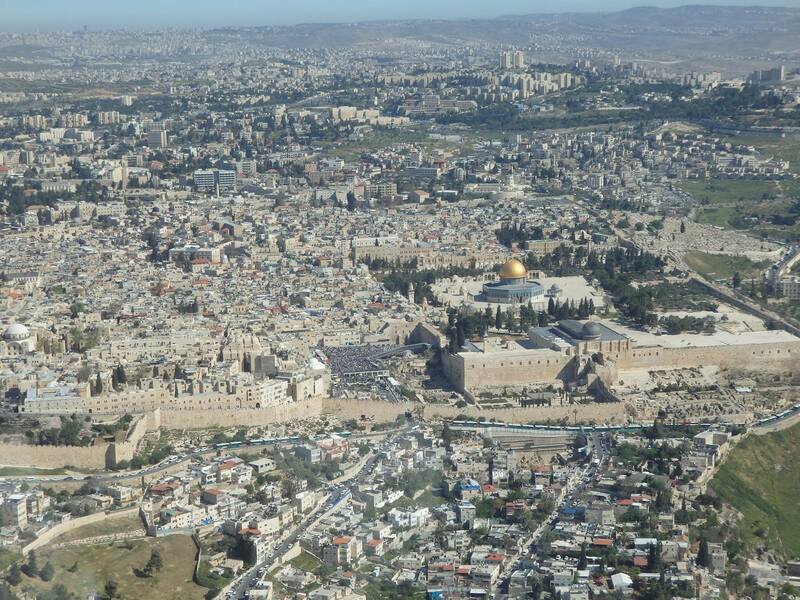 The Waqf and the Temple Mount. Summary: According to Muslims, the Temple Mount is held in “trusteeship” by the Islamic Waqf, which assures its use and access as a mosque. The role of the Waqf has nothing to do with sovereignty of the land on which it resides. The most sensitive issue of the Israel-Arab conflict is considered to be the Temple Mount in Jerusalem. 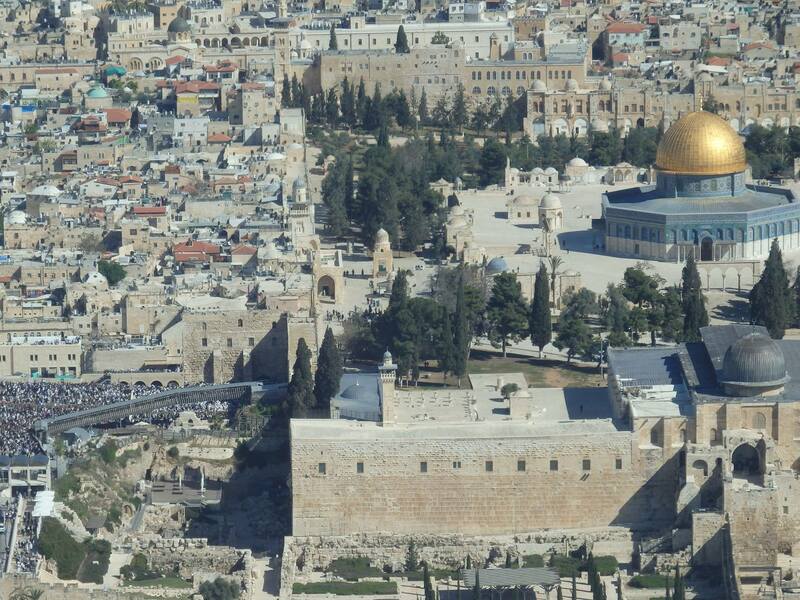 The Temple Mount is a 35 acre platform that held the second Jewish Temple from around 515CE to 70CE. Herod extended the platform on which the Temple sat southward to enable the greater flow of the thousands of Jews that came to the Temple to perform their rituals. The platform extension project ran from 19BCE to 63CE and Jews enjoyed the benefit of his work until the Romans destroyed the Temple in 70CE. The area is considered sacred to Muslims as they believe Mohammed had a night journey from Saudi Arabia on a flying horse to that location before ascending to heaven. When Arabs invaded Jerusalem in 627CE, they built the al Aqsa Mosque on the southern edge of Temple Mount (completed in 705CE and rebuilt in 1033) to commemorate the importance of the location. The other structures on the Temple Mount include the Dome of the Rock, the Dome of the Chain, the Dome of the Prophet and various other structures which are NOT mosques, but shrines. Jews had access and were able to pray on the Temple Mount until around the year 1550, when Suleiman I began a series of “improvements” to Jerusalem. He ordered the rebuilding of the city walls and moved the Jews off of the mount to an area now referred to as the “Kotel” or “Wailing Wall” or “Western Wall”, a sliver of the western retaining wall built by Herod. Since that time, prayer on the Mount has been restricted only for Muslim use. Five Arab armies attacked Israel at its founding in 1948. At the end of the war in 1949, Jerusalem became divided with the western half (almost all completely established since the 1850s) under Israeli sovereignty, and the eastern half (including the Old City dating back 4000 years) under Jordanian sovereignty (which was not recognized by the United Nations). The Jordanians evicted all of the Jews and barred their reentry, even to visit their holy sites, counter to the Fourth Geneva Convention. In 1967, the Jordanians again attacked Israel. 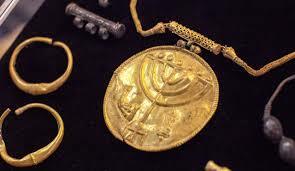 They lost the eastern half of Jerusalem and all of Judea and Samaria, which they had annexed in 1950. Israel reunified the city and made clear that people of all religions – not just Jews – would have access and rights to their holy places. Non-Muslims were once again allowed onto the platform, and Israel gave administrative oversight of the Temple Mount compound to the Jordanian Waqf. Israel annexed the area and the rest of eastern Jerusalem in a move not recognized globally. Islam allows Muslims to place property (land or any object) into a “Waqf”. By doing so, the item comes under the trusteeship of the party specified in the declaration. In the case of the al Aqsa Mosque, the building is considered to be for the public use of all Muslims under the administration of the Jordanian Waqf. As described above, the Jordanian Waqf took control of the Temple Mount in 1949 and Israel has continued to let the Waqf administer the site. The Jordanian Waqf now employs 500 people to run the mosque. It does this, while Israel maintains all security controls and runs it as part and parcel of Israel. It would appear that the actions of 1967, 1988 and 1994 laid the groundwork for a sharing of the Temple Mount between Jews and Muslims again. However, it has continued to be a struggle. It is interesting that the Waqf would make a claim of “Judaising” the city of Jerusalem which has had a Jewish majority for 150 years. It was also this same Jordanian Waqf that participated in expelling Jews from the Old City of Jerusalem and barring their entry from 1949-1967. The declaration was followed by the establishment of the Protection of Holy Places Law which ensured the rights of all religions to pray at their holy sites. Today, in an effort to appease the extremist views of the Waqf, radical Palestinians and the Jordanian government itself which threatened to break its peace treaty with Israel, the Israeli government has continued to enforce a ban on Jewish prayer on the Mount. Muslims’ Perspective: Suleiman pushed the Jews off of the Temple Mount in 1550 and Jordanian Arabs expelled the Jews from the entire Old City in 1949. Muslims and Arabs would clearly prefer that there be no Jews in Jerusalem. However, according to Islam, there is no conflict with the Temple Mount being completely under Israeli sovereignty as detailed above. According to the Peace Treaty between Israel and Jordan, the Temple Mount (outside of al Aqsa Mosque) should permit non-Muslim prayer, despite Jordan’s recent protests. Israel has continued to extend its full hand to share the Temple Mount. Meanwhile, the Arab world took initial steps some decades ago to recognize Jewish history and rights which do not conflict with Islamic law. Regrettably, recent history has witnessed a more hostile Arab approach. Perhaps the future will witness peace on the Temple Mount with full access and rights for Jews at their holiest location. Next Amnesty International Snubs Britain’s Jews.